The generator set has a compact and unique design. The exhaust is ducted out from the top cover facilitating installation. The layout of the oil and coolant inlet has been redesigned to permit easier access for service. 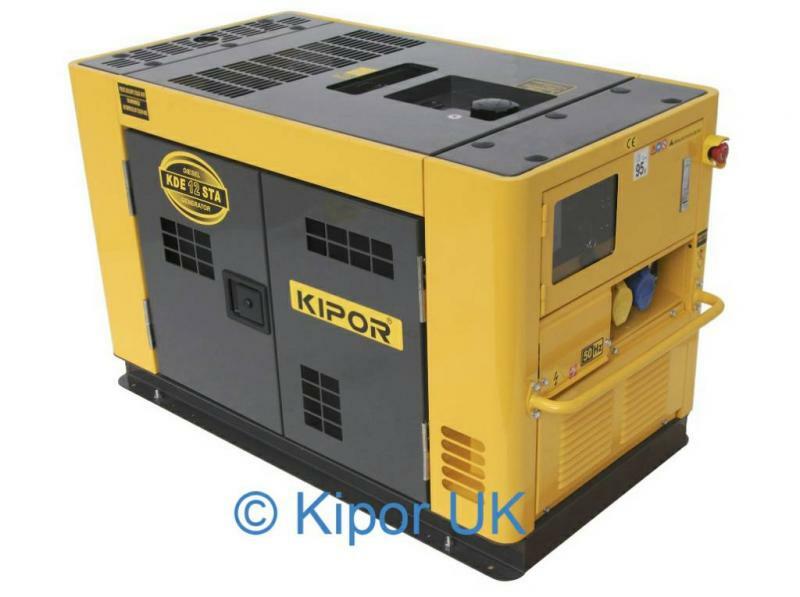 The Kipor super silent generator series offer unparalleled low noise levels. Kipor applies a unique double air inlet and outlet design. The generator is equipped with a built-in large sound attenuating muffler and additional sound insulation liners to limit noise. The DC generators can be paralleled together with two or more, without limitation on model or number. Appropriate power capacity and number of paralleling units can be selected to meet different loads. The improved AVR (Automatic Voltage Regulator) limits voltage fluctuation to a very low level and ensures smooth and steady output. Additionally, the AVR features built-in overload protection and will automatically shut off the output at 110% of rated load. The high efficiency combustion system is designed to reduce fuel consumption and operation costs. ATS continually monitors utility power and voltage/frequency fall below acceptable levels. It commands the generator to start automatically and connect generator power to the intended load. Once proper utility power is restored, the ATS stops the generator and reconnects utility power. The ATS has been designed to be installed either inside or outside the generator set.